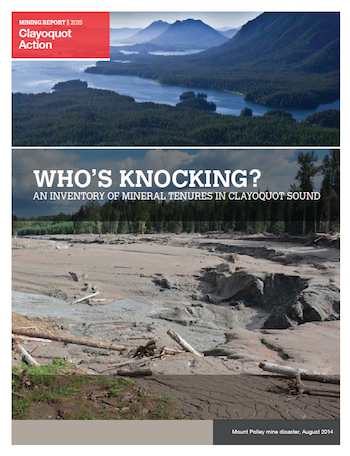 A collaboration between Clayoquot Action and Fair Mining Collaborative, the recently published report “Who’s Knocking” is a fine example of a community taking a pro-active approach to resource extraction in its area. This report shows the locations of mineral exploration in Clayoquot Sound, and provides information on each of the claim holders and owners. An engaged community, right from the start of the extraction process, holds a stronger position to make decisions regarding environmental, cultural, and economic concerns. 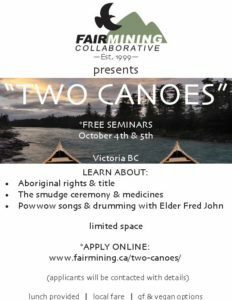 We applaud Clayoquot Action for their initiative and foresight.